Mr Dunkley said, “I strongly encourage everyone to read this bill on the proposed sugar tax which was tabled last week, will be debated and due to take effect 1st June. “This will significantly affect all of Bermuda: the consumer and businesses – especially dozens of small entrepreneurs, many of them black businesses. This will put countless businesses in jeopardy of being a viable entity and cost Bermudians jobs. “This is not scaremongering- just a fact. Bakeries; Ice-cream parlors & ice-cream makers; snowball stands; and home cottage industries. Even bake stalls will be hard hit. “The cost of many taxed products will drastically increase, impacting the cost of living and this proposed bill I doubt will improve health. “I also doubt that a Sugar Tax will impact buying habits to improve health as in many other places it has not and some have repealed it. Speak up Bermuda or we all face consequences once passed. Earlier this month, the Government tabled the Customs Tariff Amendment [No. 2] Bill with proposed changes to the import duties relating to sugar and certain sugar products. “The Ministry of Health also published the full and final report of the Sugar Tax Consultation on its website,” the Government said at that time. This guy talks way more than the so called oba leader herself, probably because she ain’t no leader of the Oba. Just another surrogate. Dunkely get off of what you are on. Stop complaining and actually do something for a change. Or just take a seat. Tired of you just running your mouth with no action as usual. Yet if he (or them) say nothing they’re accused of being impotent and an ineffective opposition . There’s just no pleasing you. And do let us all know how you like it when your cost of living takes yet another hike thanks to what went down between 1998 and 2012. But yet you will sit like a baby bird and eat up the PLP spew. Are you happy to be paying MORE for anything with sugar in it because you think the government is doing this to help your health? If so I have a bridge to sell you. It is simply a money grab. Happy for job losses resulting from this? Happy that KFC has no tax on it because it is good healthy eating? Just keep on bleating and ignore the real effect of this grab. In fairness to Dunkley he’s no longer in a position to ‘do something for a change’. And, even though he clearly can’t help himself when it comes to ‘stepping back’, it’s not his fault that other OBA MPs (such as Ms Jackson in this case) are unable or unwilling to be the public faces/voices of the party. His company imports sugar filled products! That’s why the milkman is speaking out! He don’t care unless it hits his bottom line! Such a hypocrite! He is one of 5% that can afford such a tax it will only hurt the rest of us. The milkman obviously has you in his pocket! Typical privileged response to the truth! He ain’t fooling all of us. This hits his business and why he is against it. If he cared about us people he would reduce the cost on a carton of milk or give seniors a discount on his family’s products! Bam there you go! As far as I know, there is no sugar in milk. So what would you call lactose in cow milk? It’s sugat! Do your homework dummy! He employs a bunch of PLP supporters. Without those jobs where would those people be? Pivot from dealing with the message to attack the messenger – classic sycophant. It happens when a person has nothing of substance to state. Hence why the majority of comments from the Government supporters just attack the messenger or type 24/12 on such articles. What a self serving and disingenuous statement. In what way is it a “self serving and disingenuos” statement? “I also doubt that a Sugar Tax will impact buying habits to improve health as in many other places it has not and some have repealed it”. Mr Dunkley. You forget that Bermuda is another world, we do things differently here. What works or doesn’t work in the rest of the world doesn’t apply here. Gay marriage, let’s repeal it, fighting gun crime, let’s scrap the proven method and start praying instead, opposition party with the worst economic record in history – let’s vote them back in. This bill will have one of two outcomes, either a much healthier society, with falling obesity and diabetes levels, or a lot of lost jobs. I know which my money is on. Still, the PLP know best. Items subject to sugar tax – BERMUDA MADE cakes and cookies. Items NOT subject to sugar tax – IMPORTED Cookies and cakes. I think Mr. Dunkley has a point here. This law will hugely impact Bermuda businesses. There are very few Black owned businesses – there are lots of Black employees; thus Income Inequality. The purpose of the Sugar Tax is to raise the cost of sugar as it is killing and maiming “everyone”. This will be a tough cycle to turn but it must start somewhere. The Food Industry cares about the bottom line, not consumers. The arguments that I’ve seen as displayed by the likes of Barritts or Treats or Sweet Saak is that this tax is unfairly applied – why tax sugar in cookies or beverages but do nothing about excess fat/carbohydrates in say french fries. We could do with analysing the results of effected sugar tax equivalents in other jurisdictions – I think Pennsylvania just had a review. Excuse me? Very few black owned businesses? Where to you live. There are very many black owned businesses in Bermuda, it’s just that most are small and do not get noticed the way Masters or Coopers or Marketplace does. Very few black owned businesses??? What planet are you living on, or do you just see what you choose to see after listening to the likes of CURB preaching the victim mentality??? If consumer habits do not change then that must mean that they are continuing to buy sugary goods. If this is true, then how can the businesses be less viable? Making the assumption that they pass this tax on to the consumer. You can’t have both. Either this deters consumers in which case businesses suffer, or consumers continue to purchase in which case the business is not affected. My car, home contents and bike insurance went up 2.5% because of new taxes (the Financial Services Tax). Thankfully, I do not buy cakes (sorry Bermuda Bakery) or sodas (sorry Mr. Barritt) or much of anything with added sugar, so this will not affect me the way it will affect 95% of Bermudians. Another gift from the 1998-2012 era . They just never stop coming , and won’t for a long , long time . Sugar in food is the fault of the OBA. The PLP are correcting this injustice foisted on the people by the OBA and for your own good is going to take money from you should you fall into the OBA trap of eating too much of it. How did you get that? Was the OBA in the food production business? Did the OBA own Pepsi or DiGiorno or Frito Lay or some other “junk food” company? Forgive my poor attempt at sarcasm. 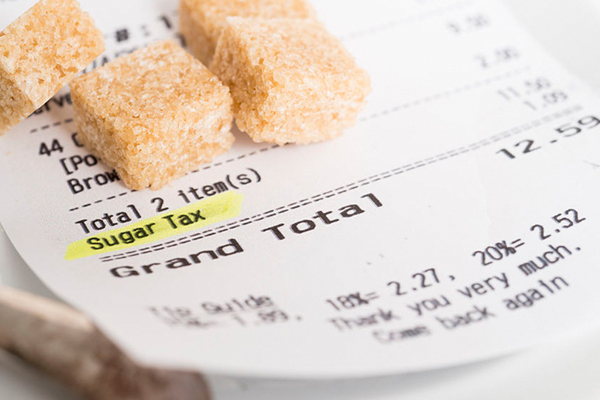 STOP THIS SUGAR TAX AND OTHER UNJUST TAXES! The PLP have to do this in order to pay off the immense DEBT they left our island in after their reign last time. What next? Taxed air? Taxed water? Taxed underwear? Taxed deoderant? It was Bob Richards who doubled that debt – the rationale being economic growth would make it smaller as a percentage of GNP. He was every bit as inept as Paula Cox, the bottom line is that both were pretentious incompetents. The PLP managed to increase the debt 6x in seven years. And as a matter of fact, Bob Richards did not double the debt. These PLP myths are designed to keep you lot under control. It works doesn’t it. What a bunch of frikkin idiots. Frito Lay… Proud owners of Pepsi. I trust the Hon. Gentleman declared his interest. I hear that small business will be affected, though look at the bigger picture. Our healthcare costs are out of this world! Reducing Bermuda’s biggest issue of obesity and Diabetes will not only be better for our health but our pockets as well. We need to influence the public with better choices, this called externalities when the government is involved. The same really as different size for the car and why the price goes up for a bigger car. In the long term, this is the better thing to do. Yeah , it’s worked so well in other places that it’s been repealed . “Bermudian Thinker” ? Not so sure about that . How many times must it be said that it’s a ******* money grab ? You do know that there is a diabetes reversal program here right for type 2 diabetics. How many of them actually use it and it has been available for years. This tax wont make a dam difference. U wanna eat junk, ur gonna eat it no matter what it costs. This will just sting the ones at the bottom more. Money grab pure and simple. They dont gove a rats behind abt u, just your money. Here’s a super easy solution: STOP STUFFING YOUR FACES WITH CRAP! Does that mean my lemon Perrier water is now taxed at 75% ? But wait – the PLP told everyone that they are Standing Strong for Bermudians, and yet they’re going to hit those very same Bermudians with this huge tax hike? No, that can’t be right. Good thing chocolate bars are exempt from the sugar tax. But not sugar free, diet soda. Is Mr Dunkley the shadow Health Minister as well? Erm, who is the shadow health minister? You all are fools and need to grow up and pay attention and agree with Mr.Dunkley. This is no joke and the cost of living will skyrocket, drastically. We need to make noise and stop this. If this was US people would group together and chant but no you all want to play with it and once implemented then complain! I will vote OBA next time! We need to band together and surround Sessions House. Do NOT let the MPs into the House to pass this horrible bill. And don’t worry about the police. They learned their lesson the last time. They will not attack innocent civilians again. It was said, the money generated from the customs codes pertaining to this tax would go into Government’s general fund. If they really cared , it would go toward Health education and Health Care! This tax will only cause further stress on the everyday person. Everyone enjoys a Sweet here and there, now they will be punished for those who may have overdone it with sweets over the years. The Tax is nonsense . Sugar is used in many foods. Restaurants, food lines, etc.- prices Will go up more. Many still have not caught themselves from the recession. My wallet would do much better in the States. Many have left, Bermuda way too Overpriced. We will see how this affects Tourists views and visits in the years to come. As much as I hate to state it, he’s right. And you want to march? Then this is something to march & protest about. It’s just another ludicrously of government raising money. So now ordinary people are starting to pay for the PLP’s mismanagement last time they were in. If they really want to make people less fat they should tax mayonnaise. When black businesses are affected, and black workers lose their jobs, who will people blame? OBA did not do this. Its your own clueless PLP. You already know who they will blame. Whose fault it will be. I don’t disagree with the tax per say.. I disagree with the certain aspects that by design will impact Bermudian owned and operated businesses. ..
Case in point.. The tax will not change on the import of pre-made cakes, cookies, etc yet the local business who makes these items locally has to pay a higher tax for the same ingredients.. Either someone is doing this intentionally or they are just plain stupid!! !